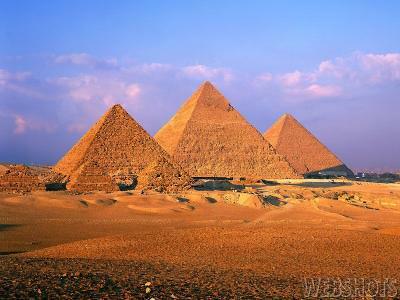 Though the Pyramids were discovered in many parts of world but Egypt is on the top name that comes to our mind while talking about Pyramids and their mysteries Besides Great Pyramid therw are number of Pyramids found in Egypt but because of its Huge size and Mathematical and Geomatrical Perfection it has attracted a big Popularity. - The Base of this Pyramid is around 13 acres and it is leveled to a fraction of an inch. - The Great Pyramid is so perfectly oriented towards true North, that it is only 2 minutes off. The Best modern effort with all our modern infrastructure and engineering techniques and equipments , to creat structure in True North is Paris Observatory which is 6 Minutes off and far behind from ancient Egyptians which is a miraculous example of Egyptian Perfection.